I've just bought a "brand new" replacement battery for my Galaxy Nexus phone. When on-line store's package arrived, I was more than surprised (actually, shocked!) 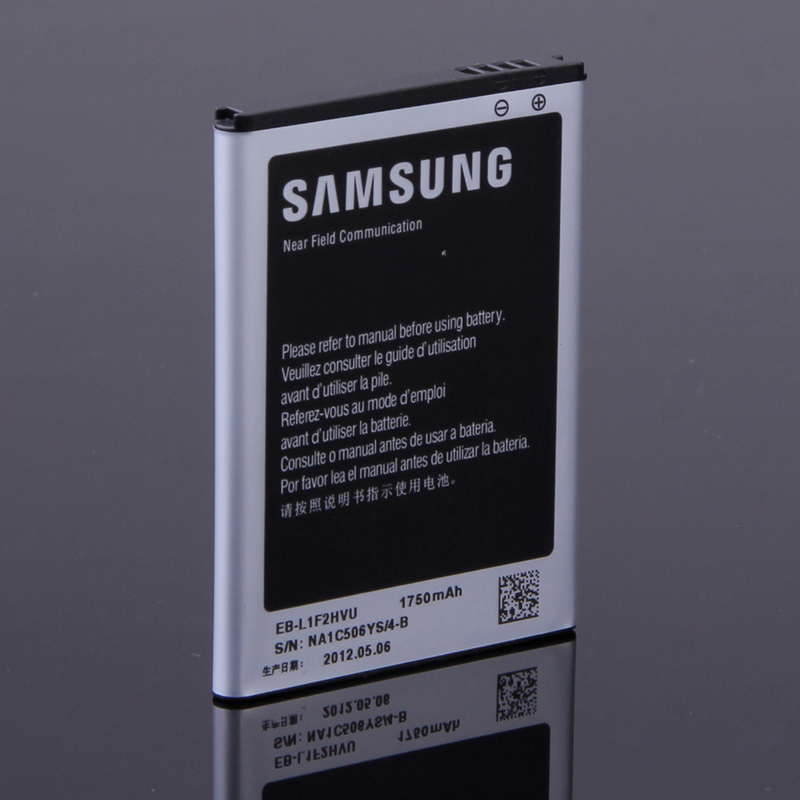 to find out, that battery's manufature date is... 2011-12-29 (assuming, that it is manufacture date, what is behind these four Chinese symbols in bottom-left corner of Samsung Galaxy battery)! Should I even think about accepting this package and using battery with my phone? Or should I return it immediately to the shop? I found this great Izzy's answer. If I get its meaning right, it seems, that my battery is in the "dangerous level" of deep-discharge for a long, long time. If not dead at all. And should not be used anymore. Or maybe, I'm wrong, and Li-Ion batteries that are leaving manufacturer for the first time can be storred for over two and a half year without any noticeable influence on their condition of performance? Or maybe, that four Chinese symbols does not mean battery's manufacture date? But, what else could they mean? Even if battery condition is fine, do I have any chance, that it will last any longer that six months period, covered by warranty, if it spent over 2,5 year in manufacturer warehouse? Comparing confirmed Chinese translation of these four symbols (yes -- it is a manufacture date) with Izzy's answer, which states, that Li+ batteries have a self-discharge rate of approximately 5–10% per month, we end up with conclusion, that even with most optimistic scenario, Li-Ion batteries stored in store or warehouse without cyclic re-charge (which most likely never happened) are completely dead after 20 months at most. Which is equivalent to less than two years. Which leads us to a conclusion, that 2,5 half year old Li-Ion batteries are completely useless and shouldn't be purchased nor used. Not the answer you're looking for? Browse other questions tagged battery battery-life samsung-galaxy-nexus or ask your own question. When should I start charging my Lithium battery? Can I buy the Samsung official extended battery for the UK Galaxy Nexus? my samsung galaxy 2 battery is draining to fast! How can I increase my samsung galaxy fit's battery life?